It’s no secret that most everybody loves Disney movies and that Disney characters are some of the most popular costumes come Halloween. But have you ever attempted to buy a Disney made costume? The cost is OUTRAGEOUS. No joke, I think I found an Anna and Elsa set last year for almost $200. Not to mention, most of those commercial costumes are made of 100% polyester, which leave your kids sweating and itching. 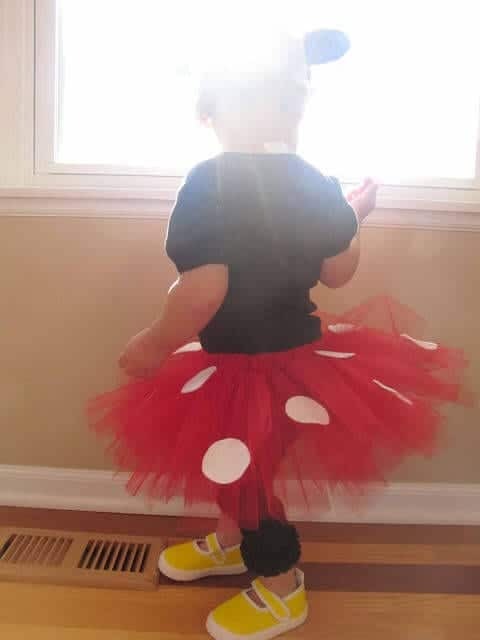 As it turns out, you don’t have to spend an arm and a leg to get an adorable, functional and affordable Disney costume this year. You can make one yourself and your kids will be comfortable and stylish! Check out this easy list of DIY Disney costumes. Minnie Mouse is one of the most iconic Disney characters and it’s almost a rite of passage to dress up as her at least once in your life! You can whip up an easy skirt and pair with a black shirt and leggings, and an adorable set of mouse ears. Everyone will know what you’re daughter is dressed up as! SchoolTimeSnippets.com has a great tutorial on making your own Minnie Mouse costume. With the release of Tangled a few years ago, storybook legend, Rapunzel has risen in popularity. Every little girl loves her long blond hair and many want to be her for Halloween. This costume ties in the trademark laced up bodice, without the discomfort! Your daughter will be able to actually move around and avoid the hot, long sleeve polyester blend we all hate. Head over to SaltyCinderella.com to see the full tutorial, as well as great ideas for other famous princess designs! One of the best characters in Monster’s Inc. is Boo. She reminds all of us of our children at one time or another and it so lovable. Dressing up as Boo is probably the easiest costume of all time. All you need is a set of purple leggings, pink shirt, white socks and some pigtails. EASY! 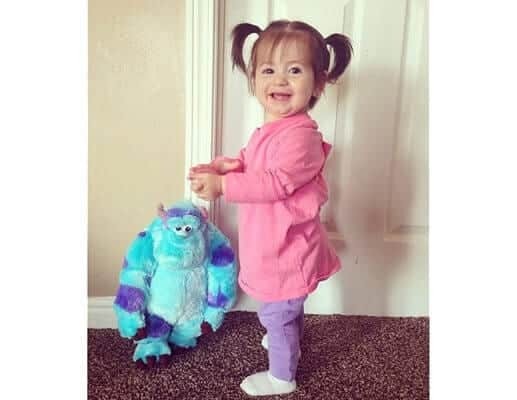 TheBump.com has even more inspirational costume ideas for you, so be sure to check it out! 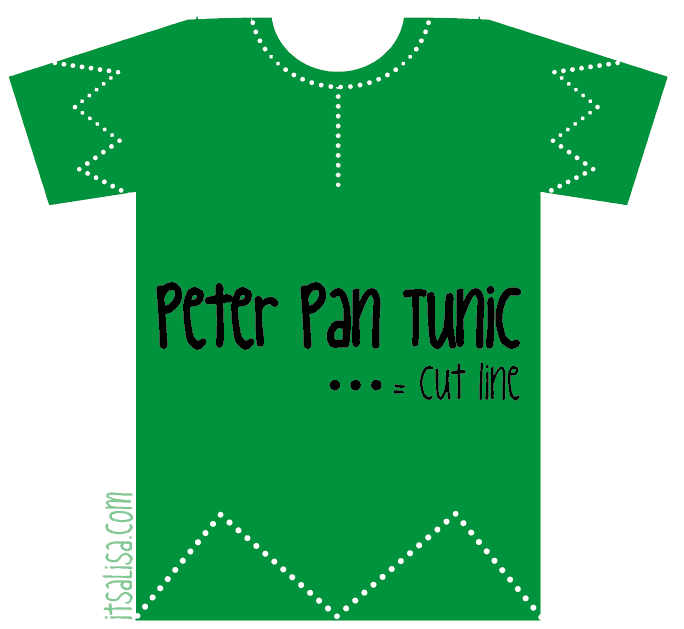 Peter Pan is an oldie but a goodie, and any boy or girl looks adorable dressed as him. The best part is you can completely pull off his look with a green shirt and pants! All you need is some creative snipping and your child will look straight out of the storybook. If you want to take it to the next level, you can even grab some felt and a feather and fashion Peter’s trademark hat. ItsAlisa.com has both a video tutorial, as well as patterns to follow for both Peter’s shirt and hat! I don’t know why, but I think children dressed as adults for Halloween are adorable. The photo above is an “adult” costume but all you need to do is use child sized clothes and you will have the cutest Mary Poppins on the block! Plus, what little girl wouldn’t love to wear some amazing red lipstick for the night? 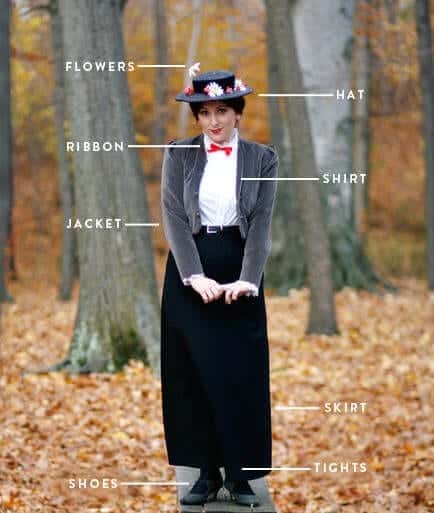 Babble.com has more ideas on creating your own Mary Poppins look so head on over! 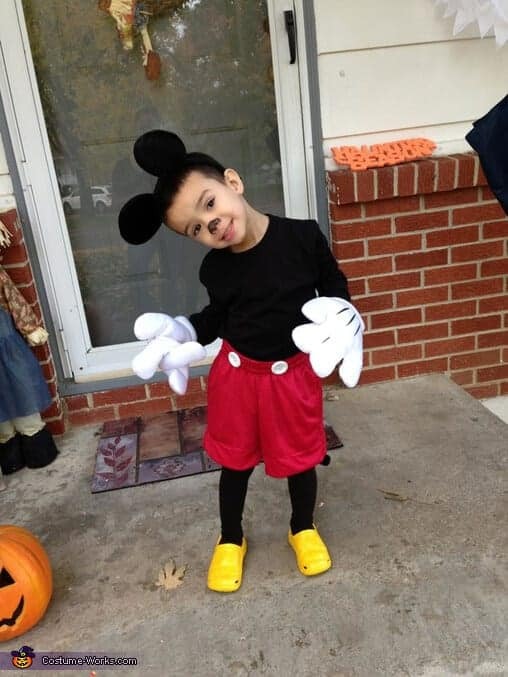 Dressing up as Mickey Mouse is surprisingly easy, which is a win for us moms! Boys or girls can sport Mickey’s classic look and with just a little effort on your part. Just glue or sew some buttons onto some red shorts, and pair with some black leggings, shirt and yellow shoes. Don’t forget the mouse ears and white gloves! Costume-Works.com has this look all figured out so head on over to get costuming! No list of Disney costumes would be complete without some character from Frozen, and Queen Elsa is the most popular. She is also one of the most expensive costumes around, and probably because of the detail that goes into her look. But you can make your own costume that will look just as gorgeous and probably have a little more character than a store-bought one (and it will probably last longer too!). 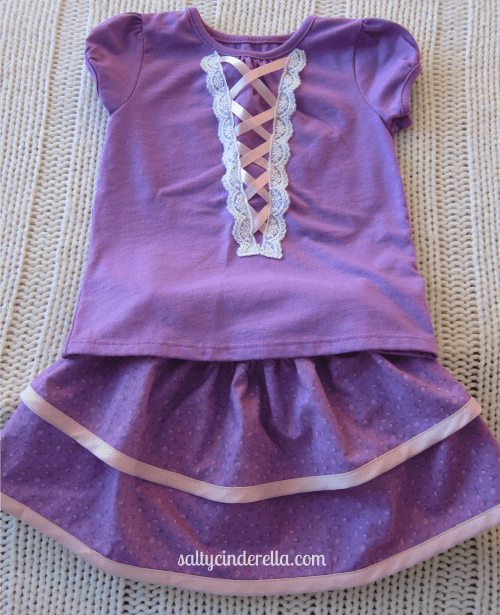 AllThingsWithPurpose.com has this tutorial which has minimal sewing, so head over there fast, get your instructions and start making this costume now! This is not only a great costumer for your son or daughter, but the whole family! Your kids will love seeing you get just as in to your costume as they are. This costume really just takes some DIY skills for creating the T-shirt, the rest is laying on some red right or leggings, shorts and some awesome face paint! If you love this, then be sure to visit WhileTheySnooze.com for a great tutorial on costumes for the whole family. 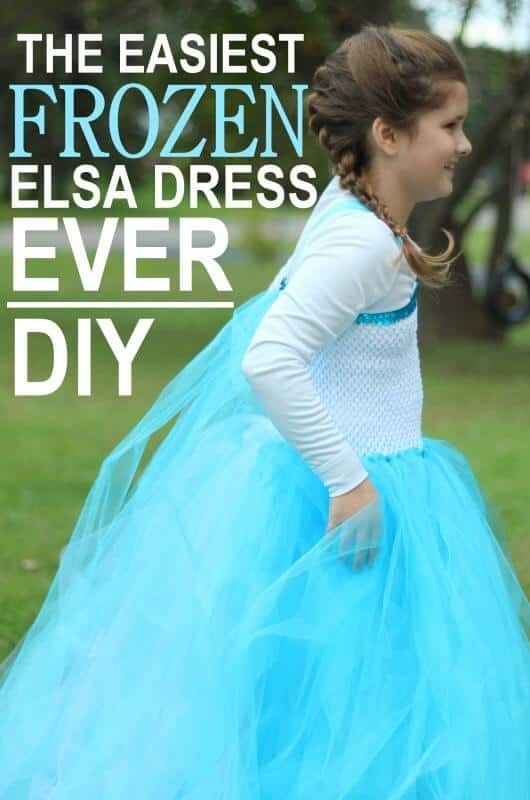 The post 8 Simple DIY Disney Costumes For This Halloween appeared first on Life As Mama.